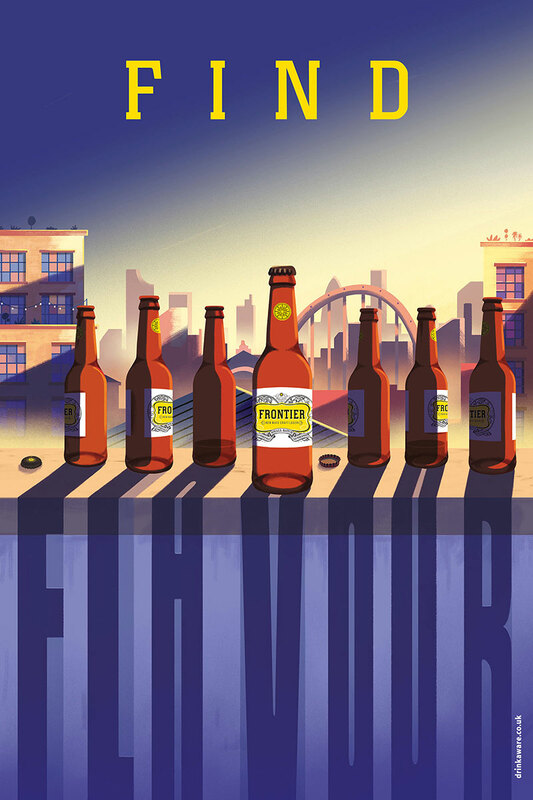 Frontier is a new craft lager brand launched by Fullers. 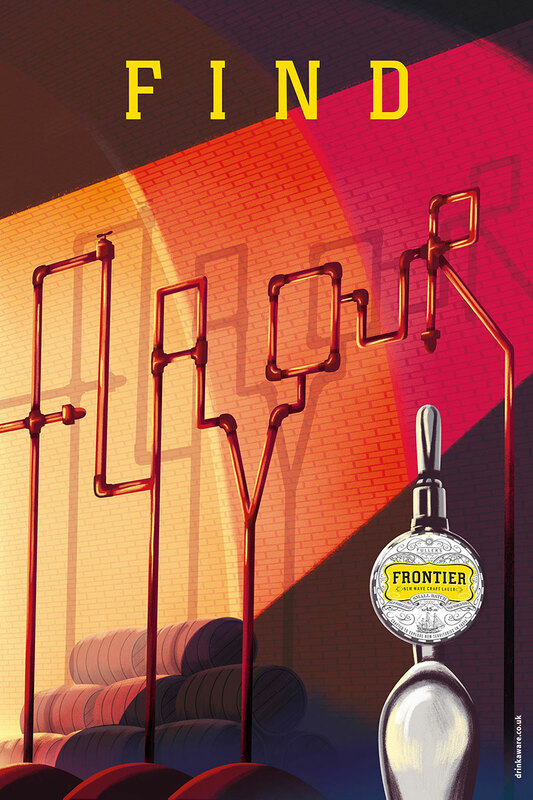 Lager is tasteless, yet Frontier is full of refreshing flavours. I worked on the design direction of the launch campaign. 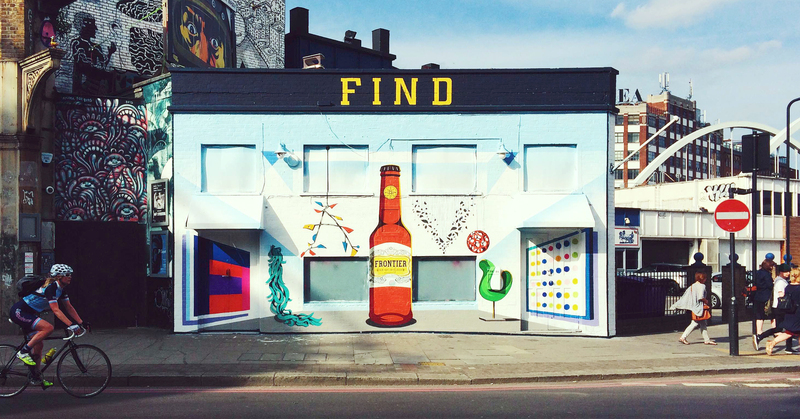 Using the intriguing headline ‘FIND’, the launch campaign invites you to find flavour in the image, the product and the category. 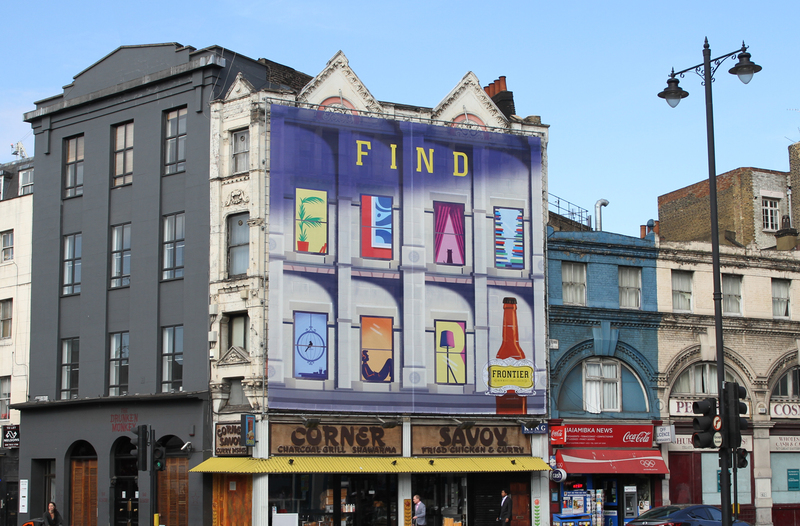 Beautifully illustrated posters, press and murals by Tom Cole bring colour, vibrancy and intrigue to East London, the mecca for craft beer in the capital. 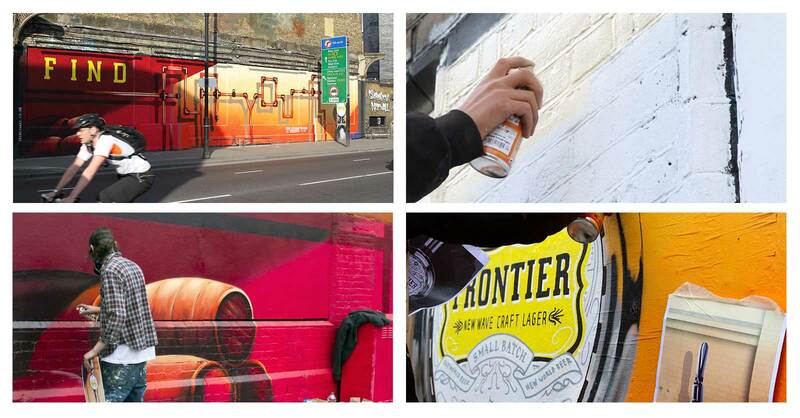 The illustrations were painted as murals and strategically placed across various locations in East London, inviting people to find deeper flavour offered by Frontier.